Movies about assassins or contract killers have always intrigued me, specifically for the reason that, when done right, revolve around the solitude of the occupation. They are, for the most part, alone to keep focus on the mission at hand. However, they either realize they are wanting a modicum of normalcy, such as Martin Blank in GROSSE POINTE BLANK, are caught off-guard by someone representing a relationship dynamic who infiltrates their life, like Leon in THE PROFESSIONAL, or have their chance at a normal life infiltrated and destroyed by their profession, as experienced by Michael Sullivan in ROAD TO PERDITION. In fact, the first HITMAN accomplished this same scope of solitude with Timothy Olyphant’s Agent 47, bringing him to a contemplation on his own existence as a gun for hire. It’s sequel however, HITMAN: AGENT 47, forgot to take notes from its predecessor. The movie, based off of the video game series, begins with a credits sequence to give the viewer a back-story/refresher on the Agency program, which raised men from birth to be hit men, as well as see our current Agent 47 (HOMELAND’s Rupert Friend) taking out an order to kill one of the captains of the Syndicate Corporation. This society of villainy is trying to bring about a renaissance of Agents, and the audience discovers they are looking for the daughter of the man that started it all, Katia (Hannah Ware), in order to bring him out of hiding. As Agent 47 does his duty, the credits sequence ends and cuts to Katia searching for a man, but his identity is unknown to her. What we do find out is that Katia is special, skeptical of herself, and has a problem with people coming into physical contact with her. As she goes on the move, we see her being followed by a man (Zachary Quinto), who reveals himself to protect her from Agent 47 and becomes the catalyst for the plot of the movie. 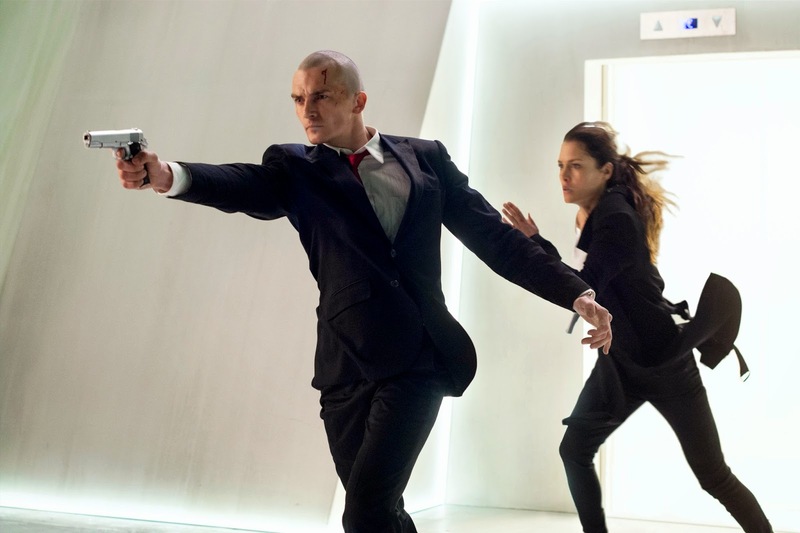 Rupert Friend as Agent 47 and Hannah Ware as Katia. Photo courtesy of 20th Century Fox. Here is also where it differentiates from the first entry as Katia is our main protagonist, not Agent 47. This was probably the smartest thing for the movie as Hannah Ware creates someone that we can connect with as a lost soul trying to find a reason as to why she’s lost in the first place. Director Aleksander Bach knows how vital the connection the audience has with Katia, and uses several shots of eyeline matching to help contextualize her constant awareness in her surroundings, as well as her constant searching for meaning. Several shots also focus on her avoidance of human contact to create a feeling of isolation and solitude, which is needed in a movie centered on assassins. 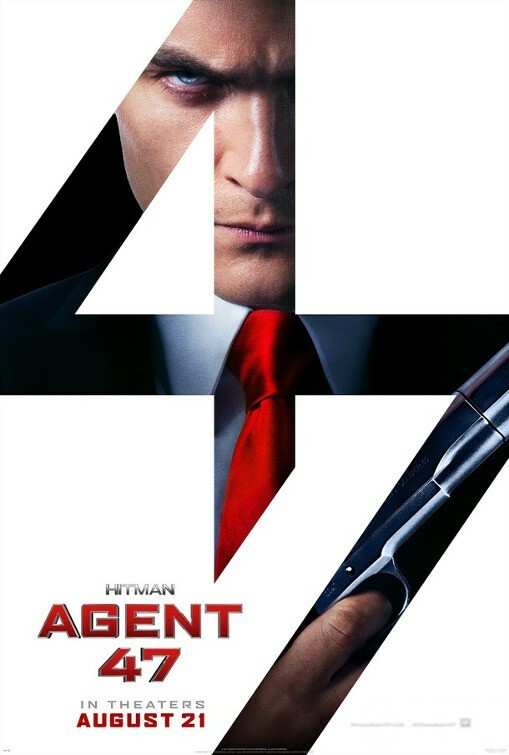 However, the movie deceives the audience and sells out its connection with Katia, choosing to shift focus on the assassin vs. assassin angle of Agent 47 against Quinto’s John Smith (Side note: How cliché is this alias? I thought Hugo Weaving retired this with his excellence in THE MATRIX trilogy). It’s perfectly OK for a movie to shift the focus to the action, but not if you’re going to make the action set pieces nearly unwatchable, or if those actors are boring in their delivery. I get the frenetic energy in action scenes, but there needs to be payoffs in the choreography. And that’s the main problem with HITMAN: AGENT 47, the choices it decided to use in post-production. These mistakes are realized when I’m sitting in theater, asking myself “I see what this was supposed to be, but why did you go to these shots?” Without giving too much away, there were several instances where elaborate stunts cut to a reaction shot mid-choreography; it was like they were trying to show the violence without too much violence. I like my action movies to stick with the action to create that continuity of adrenaline in seeing great stunts. Some other unwelcome distractions for me were Marco Beltrami’s score (which is almost constant) and the overuse of establishing shots (we know you’re in Singapore already). Also, there were some character background angles that went nowhere. Writer Skip Woods (who penned the first film), didn’t have the intrigue in its protagonist to cover up any plot ambiguities. For instance, Katia has some sort of addiction that never really gets addressed as to why she has it, or how she just overcomes it all of a sudden. There’s also a reveal to Katia’s past that doesn’t make any sense whatsoever. I usually give action movies some leeway because they are what the term “popcorn movie” encompasses, just a good time at the movies. However, there needs to be an element of fun in either the action or banter in the dialogue to give the feeling of a good time. I kept waiting to be wowed by the action or the villains to chew up the scenery, but, much like Katia, the film was just too unsure of itself and kept looking for something to give it meaning. HITMAN: AGENT 47 unfortunately hits theaters tomorrow. There are also early 8 p.m. screenings tonight in participating theaters.